andersbq.com: The final solutions for cold hands? When I heard about this product, I just ordered one straight away. I mean, this might be the solution to one of the biggest problems we have here in Sweden. (At least from my perspective). 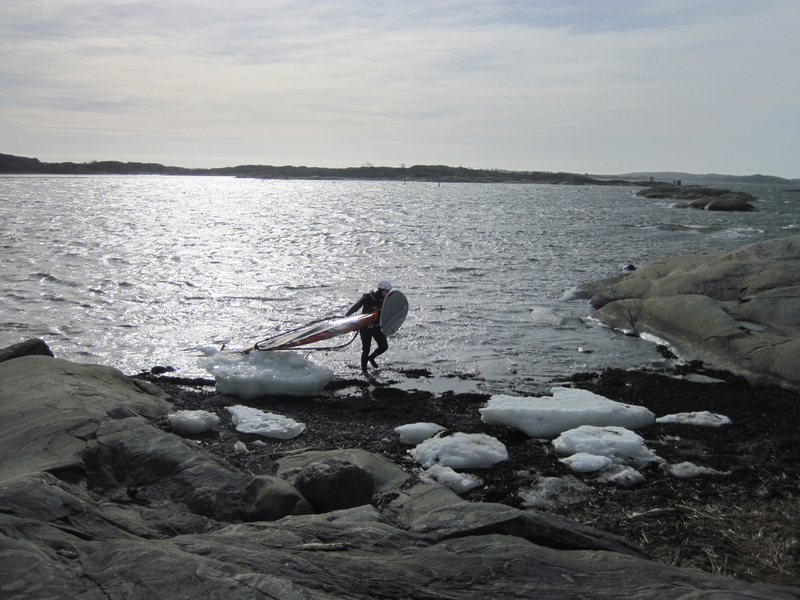 From October to April we are freezing when we windsurf. 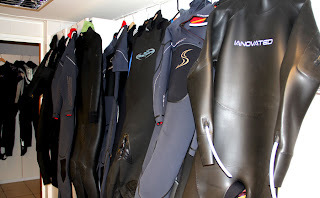 When I started with winter-windsurfing in 1983 I bought a Gul Steamer, ever since then the body never gets cold, with all good suits that have followed (remember Sola Titanium!!). And when Atan launch their winter boots, any cold feet don’t bother me. And there are some good hoods on the market. But the hands are still a problem. 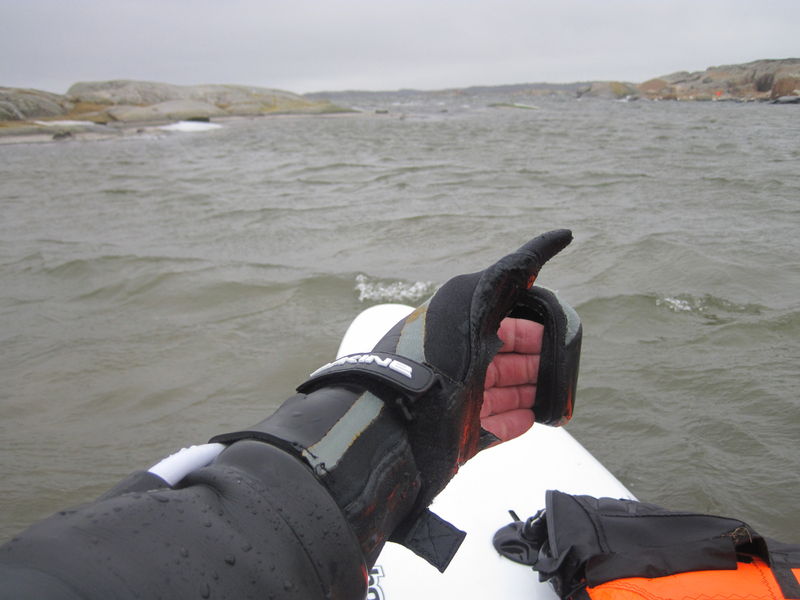 Dakine Cold Water Mittens are not bad. But in below 5 C, I freeze. And open palms mittens. Just forget them from December-March. So it was a no-brainer to get this suit innovated by this guy Iain in UK (according to the name, Ianovated). Big. Roomy. Soft. Long legs. Cold? OK, now tested in IRL. 3 hours in air temp 3 C and 1 C in the water. A LOT of floating ice. With Pro Limit mittens the thumbs where cold. With DaKine with open palms, no problem with any fingers. The suit was balanced well in temperature. And not any water came into the suit. I believe all winter surfers (also kite) will buy this or a similar suit within a few years. A lot of copies will follow for sure. Great to see you got the suit! I absolutely love the suit, I'm definitely sailing more in the cold now that I have it. I wear a neoprene layer underneath (short-sleeve shirt and, when the water is really cold, neo shorts), but the wide cut of the suit makes that easy. I hope you get some wind soon to try it out! I have the suit since day one, saterday will go windsurfing. NO 4 bfrt 1 degree and windchill -10. First buy new Pro limit open mitten, have nowe the Xcell and cut out the palm, but at the wrist toooo tight and is no good for the under arm. 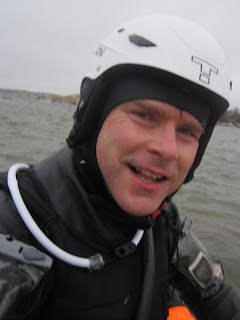 For diving i'm dealer off Red-Ray infra-red shirt's. Wanna try this saterday, for sure iff i stay warm at 25 meters deep in 4 degrees water for over an hour, this must be paradise. For sure you gonna love the suit, even on shore for a snack, you don't get really cold, because of the air inside the drysuit.